When Martie and Logan first contacted us, I was sold. Martie wrote, “We are really excited to have a unique wedding with a lot of custom pieces that my fiance is building.” We were instantly excited and upon meeting with them KNEW they were the right fit for us. These two are unique in the very best way. Their love is that type of love where you can tell they’re each other’s best friend. While we were tossing around ideas for their engagement sesh, Pour Taproom came up and so we knew it’d be an awesome spot (bonus, pour is across the street from the best lil hotdog place and Jesse and I are high key boujee hotdog fiends) but then these two showed up and from the first 5 minutes you could tell they were about to make this even more fun. 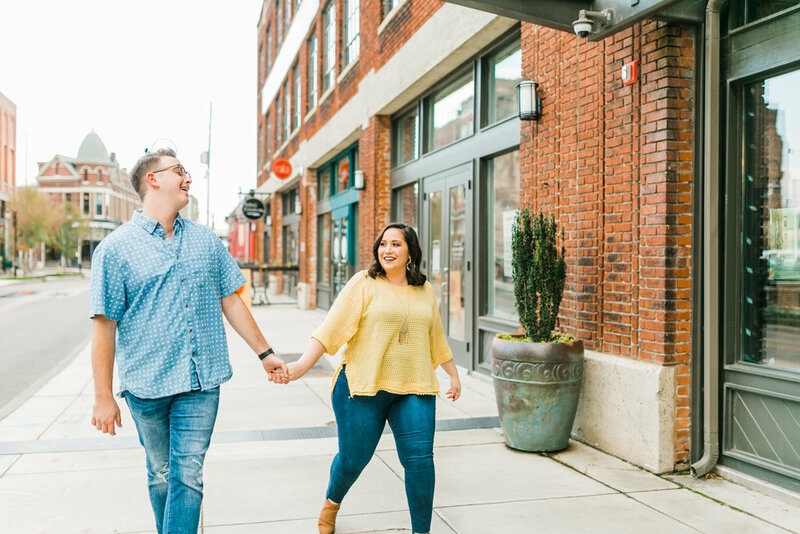 We love shooting in Downtown Knoxville, especially in the old city, but since we do it so often we’re always on the lookout for ways to make each session different. Pour helped us do exactly that. 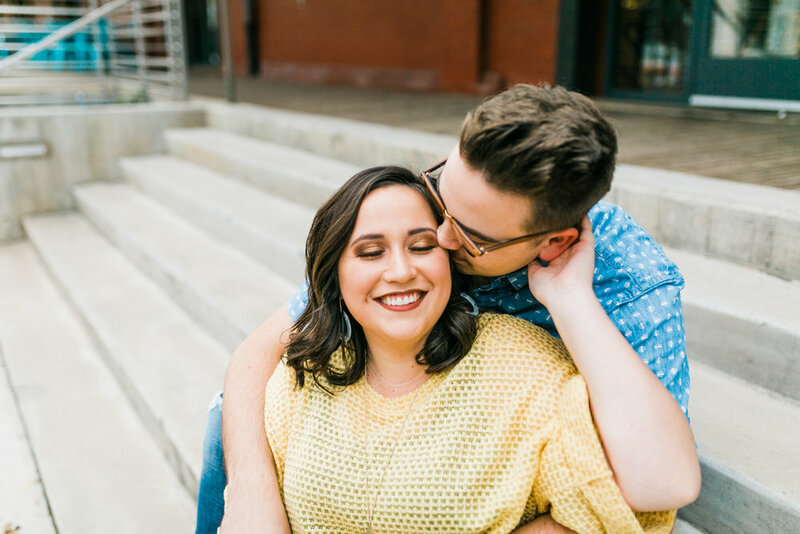 When picking out a location for an engagement session, we always encourage couples to pick somewhere that they really like, of course we can offer up ideas, but if there is somewhere you genuinely want to include, we’re all for that. We cannot wait until May, when these two tie the knot at our fave, The Standard! 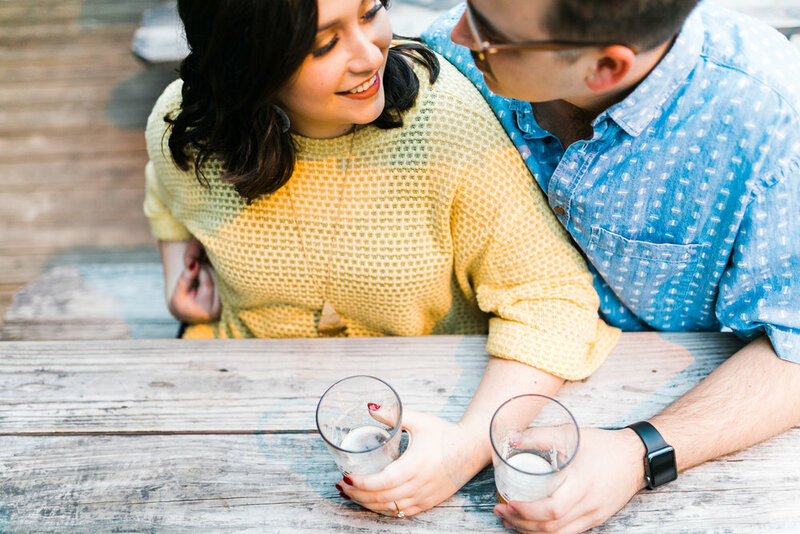 Love this engagement session? Super into us but wanna see more? 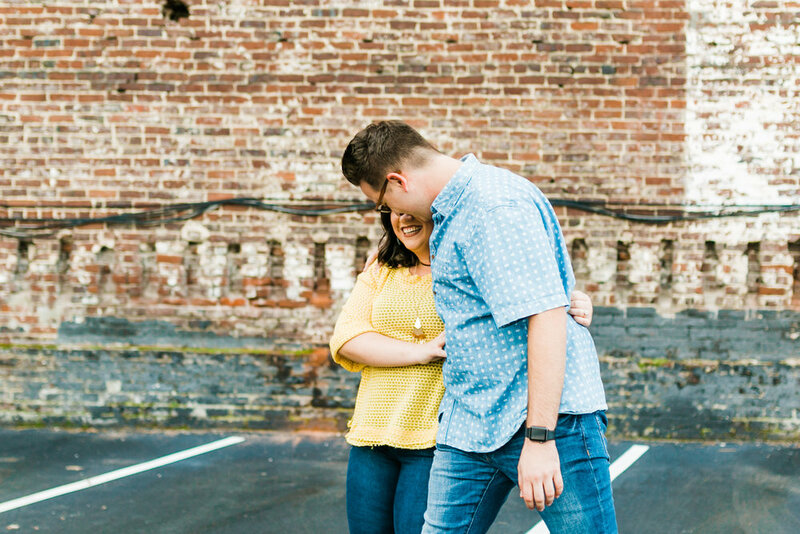 Check out another recent Downtown Knoxville Engagement session riiiiiiight here! We include complimentary engagement sessions in all of our wedding collections! Want to get in touch about your wedding? Drop us a line!